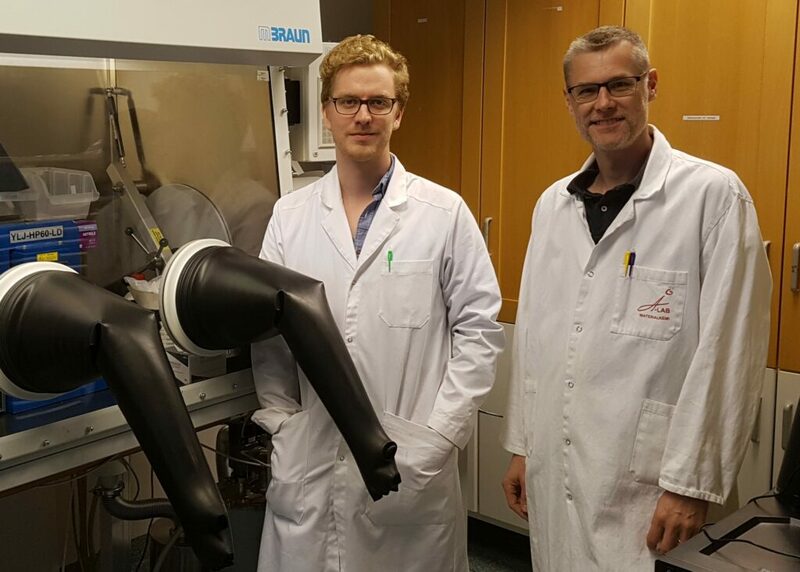 Today we got an update on the progress at Uppsala University, where our researchers Professor Fredrik Björefors (right) and PhD student Jonas Hedman (left) are using the Insplorion battery sensors for fundamental understanding of battery material behaviour. A battery cell is a complex system of different chemical processes, and it is crucial to understand how the cell performance will change under different setups and external parameters, such as temperature and how much power is withdrawn. The sensor provides a new direct signal of the charge and health conditions inside the cells, and can be used for the development of next generation batteries. The results will also be used in projects and tests in parallel collaboration with AGM Batteries.